"Intestate" redirects here. It is not to be confused with Interstate. Intestacy is the condition of the estate of a person who dies without having made a valid will or other binding declaration. Alternatively this may also apply where a will or declaration has been made, but only applies to part of the estate; the remaining estate forms the "intestate estate". Intestacy law, also referred to as the law of descent and distribution, refers to the body of law (statutory and case law) that determines who is entitled to the property from the estate under the rules of inheritance. Intestacy has a limited application in those jurisdictions that follow civil law or Roman law because the concept of a will is itself less important; the doctrine of forced heirship automatically gives a deceased person's next-of-kin title to a large part (forced estate) of the estate's property by operation of law, beyond the power of the deceased person to defeat or exceed by testamentary gift. A forced share (or legitime) can often only be decreased on account of some very specific misconduct by the forced heir. In matters of cross-border inheritance, the "laws of succession" is the commonplace term covering testate and intestate estates in common law jurisdictions together with forced heirship rules typically applying in civil law and Sharia law jurisdictions. 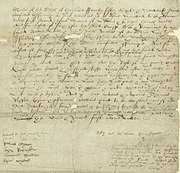 After the Statute of Wills 1540, Englishmen (and unmarried or widowed women) could dispose of their lands and real property by a will. Their personal property could formerly be disposed of by a testament, hence the hallowed legal merism last will and testament. Common law sharply distinguished between real property and chattels. Real property for which no disposition had been made by will passed by the law of kinship and descent; chattel property for which no disposition had been made by testament was escheat to the Crown, or given to the Church for charitable purposes. This law became obsolete as England moved from being a feudal to a mercantile society, and chattels more valuable than land were being accumulated by townspeople. Where a person dies without leaving a will, the rules of succession of the person's place of habitual residence or of their domicile often apply, but it is also common for the principality where the property is located to have jurisdiction regardless of the decedent's residence or domicile. In certain jurisdictions such as France, Switzerland, the U.S. state of Louisiana, and much of the Islamic world, entitlements arise whether or not there was a will. These are known as forced heirship rights and are not typically found in common law jurisdictions, where the rules of succession without a will (intestate succession) play a back-up role where an individual has not (or has not fully) exercised his or her right to dispose of property in a will. In most contemporary common-law jurisdictions, the law of intestacy is patterned after the common law of descent. Property goes first or in major part to a spouse, then to children and their descendants; if there are no descendants, the rule sends you back up the family tree to the parents, the siblings, the siblings' descendants, the grandparents, the parents' siblings, and the parents' siblings' descendants, and usually so on further to the more remote degrees of kinship. The operation of these laws varies from one jurisdiction to another. In England and Wales the Intestacy Rules have been uniform since 1925 and similar rules apply in Northern Ireland, the Republic of Ireland and many Commonwealth countries and Crown dependencies. These rules have been supplemented by the discretionary provisions of the Inheritance (Provision for Family and Dependants) Act 1975 so that fair provision can be made for a dependent spouse or other relative where the strict divisions set down in the intestacy rules would produce an unfair result, for example by providing additional support for a dependent minor or disabled child vis-a-vis an adult child who has a career and no longer depends on their parent. The rules of succession are the Intestacy Rules set out in the Administration of Estates Act and associated legislation. The Act sets out the order for distribution of property in the estate of the deceased. For persons with surviving children and a wealth below a certain threshold (£250,000 as from February 2009), the whole of the estate will pass to the deceased's spouse or also, from December 2005, their registered civil partner. For persons with no surviving children but surviving close relatives (such as siblings or parents), the first £450,000 goes to the spouse or civil partner (as from February 2009). Such transfers below the threshold are exempt from UK inheritance tax. If a person dies intestate with no identifiable heirs, the person's estate generally escheats (i.e. is legally assigned) to the Crown (via the Bona vacantia division of the Treasury Solicitor) or to the Duchy of Cornwall or Duchy of Lancaster when the deceased was a resident of either; in limited cases a discretionary distribution might be made by one of these bodies to persons who would otherwise be without entitlement under strict application of the rules of inheritance. If there are no children, grandchildren, or great-grandchildren then the spouse or civil partner inherits the entire estate. If there are children, grandchildren, or great-grandchildren, the spouse receives the personal possessions and the first £250,000, then half of everything else passing under the intestacy rules. The other half passes to the children equally at 18, with provision for grandchildren whose parents have died before the intestate deceased. a life interest in half of the remaining estate. The children (or more distant relatives if there are no children) of the deceased will be entitled to half of the estate remaining immediately and the remaining half on the death of the surviving spouse. Where no beneficiaries can be traced, see bona vacantia. The law on intestacy in Scotland broadly follows that of England and Wales with some variations. A notable difference is that all possible (blood) relatives can qualify for benefit (i.e. they are not limited to grandparents or their descendants). Once a class is 'exhausted', succession continues to the next line of ascendants, followed by siblings, and so on. In a complete absence of relatives of the whole or half-blood, the estate passes to the Crown (as ultimus haeres). The Crown has a discretion to benefit people unrelated to the intestate, e.g. those with moral claims on the estate. In Canada the laws vary from province to province. As in England, most jurisdictions apply rules of intestate succession to determine next of kin who become legal heirs to the estate. Also, as in England, if no identifiable heirs are discovered, the property may escheat to the government. In the United States intestacy laws vary from state to state. Each of the separate states uses its own intestacy laws to determine the ownership of residents' intestate property. Attempts in the United States to make probate and intestate succession uniform from state to state, through efforts such as the Uniform Probate Code, have been met with limited success. The distribution of the property of an intestate decedent is the responsibility of the administrator (or personal representative) of the estate: typically the administrator is chosen by the court having jurisdiction over the decedent's property, and is frequently (but not always) a person nominated by a majority of the decedent's heirs. Federal law controls intestacy of Native Americans. Many states have adopted all or part of the Uniform Probate Code, but often with local variations, In Ohio, the law of intestate succession has been modified significantly from the common law, and has been essentially codified. The state of Washington also has codified its intestacy law. New York has perhaps the most complicated law of descent of distribution. Maryland's intestacy laws specify not only the distribution, but also the order of the distribution among family members. Florida's intestacy statute permits the heirs of a deceased spouse of the decedent to inherit, in the event that the decedent has no other heirs. ^ "Intestacy". Wex. Cornell Law School. Retrieved 20 September 2017. ^ "Intestate Succession – Where does everything go without a Will?". Pauper Planning Techniques. Curnalia Law, LLC. Retrieved July 15, 2014. ^ "Guide to Discretionary Grants in Estates Cases". The Treasury Solicitor, Bona Vacantia Division. The National Archives. Archived from the original on 3 October 2009. Retrieved 6 September 2017. ^ Gorham, John (8 July 1999). "A Comparison of the English and Scottish Rules of Intestacy". The Association of Corporate Trustees. Retrieved 6 September 2017. ^ "The Probate Process". American Bar Association. Retrieved 6 September 2017. ^ "25 U.S. Code § 2206 - Descent and distribution". Legal Information Institute. Cornell Law School. Retrieved 6 September 2017. ^ "UPC Chart (Excerpted from "Record of Passage of Uniform and Model Acts, as of September 30, 2010)" (PDF). Uniform Law Commission. Retrieved 6 September 2017. ^ "Title XXI, Courts - Probate - Juvenile, Chapter 2015, Descent and Distribution". Ohio Revised Code. State of Ohio. Retrieved 6 September 2017. ^ "RCW 11.04.015". Revised Code of Washington. Washington State Legislature. Retrieved 6 September 2017. ^ "New York Code, Estates, Powers & Trusts, Sec. 4-1.1. Descent and distribution of a decedent's estate". The New York Senate. Retrieved 6 September 2017. ^ Eager, Samuel Watkins (1926). Descent and distribution : intestate succession in the state of New York. Albany, NY: Matthew Bender & Co. Retrieved 6 September 2017. ^ "Maryland Intestacy Law". People's Law. Maryland State Law Library. Retrieved 1 March 2019. This page was last edited on 1 March 2019, at 16:29 (UTC).